This year, I’ve decided to commit myself to just one Seattle Beer Week event per day. 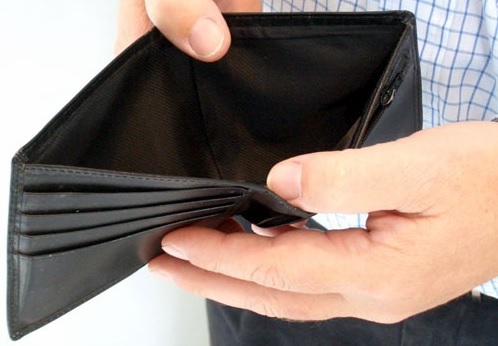 This is due primarily to some work and school commitments, but also due to some personal financial considerations. I may attend more than one event on certain days, but for the most part, one event a day is what I’m budgeted for this year. Immigration is a subject that’s come up a lot lately. There’s debate over immigration laws, how to handle illegal immigrants, and even how much scrutiny should be given to those who emigrate to the U.S. legally. Well, American Brewing Company (Craft Beer Monger sponsor) is doing their part for at least one talented and ambitious immigrant with tomorrow’s release of Fed White and Brew ESB. It’s been four years since Black Raven Brewing started giving you the bird, and the time has come once agian to celebrate. 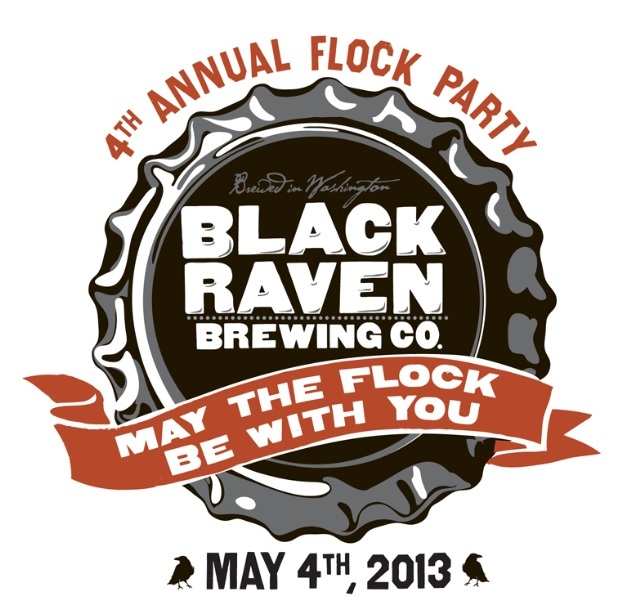 Coming up next Saturday, May 4th, Redmond’s own Black Raven Brewing will be celebrating their fourth anniversary from noon to 8 PM. 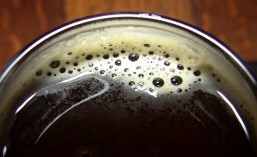 Two new beers are being released from Ninkasi Brewing. The first, which is the next beer in their ‘Prismatic Lager Series’ is Sterling Pils, marking the first time this beer will be available in both bottles and on draft. With Spring finally arriving in the Northwest, it will be a welcome and refreshing choice. Perhaps your next ‘lawnmower’ beer? Seattle Beer Week 2013 is just under one month away, kicking off this year on Thursday, May 9th. Did it sneak up on you? There are already well over 100 events listed for this year’s Seattle Beer Week and more are being added all the time. If you haven’t already, it’s definitely time to start making plans and deciding which ‘must attend’ events you want to hit up this year. With so many events happening, there are bound to be a few conflicts – two or more events you’d like to attend, but each happening at a different end of town at the same time. That’s why it’s important to start planning now. 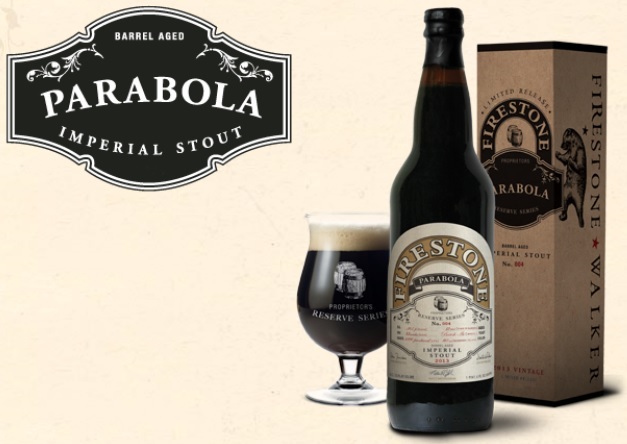 As my regular readers know, I’m a big fan of Firestone Walker Brewing Company. The quality and consistency of their beers is truly outstanding and they’re one of the few breweries for which I can say, they don’t make a single beer I don’t really like. Back in February, I told you about another new craft brewery coming to Seattle’s Ballard neighborhood. That brewery is called Bad Jimmy’s Brewing Company, and they’ve been making some great progress in preparation for their opening. It takes quite a bit of work to launch a brewery. Starting with an empty space, you usually need to add plumbing, refrigeration, fermentation tanks, your brewing system, etc., and there are several city licensing requirements and inspections you must pass as well before you can open your doors to the public. At this point, Bad Jimmy’s has passed the majority of licensing hurdles and are now deep into the ‘build out’ of the brewery. The bar is in place, the back bar is just about finished and their brewing system should be arriving any day now, at which point they can get going on brewing their initial batches in preparation for opening day. If you’re a fan of Reuben’s Brews – especially their Rye offerings – then I’ve got some great news for you. Starting today, April 3rd, you can now get three Reuben’s Brews beers in 22 oz bottles: Roggenbier, American Rye and Imperial Rye IPA. Distribution for this initial run will be limited to Whole Foods Market (Lynnwood, Bellevue, Westlake, Roosevelt, Redmond and Interbay locations) and, of course, at the brewery.